The Connemara railway ran for 48 miles from Galway to Clifden through some of the most spectacular scenery Ireland has to offer. The railway opened in two stages from Galway, the first section to Oughterard, was opened on New Year’s Day 1895 with the remaining section to Clifden opening on the 1st July 1895. The construction of the railway took 5 years at a reported cost of £9000 per mile. The railway was constructed using funding from the 1889 Light Railway (Ireland) Act which provided government grants for the construction of railways in rural areas, the railways from this scheme were also know as the ‘Balfour lines’ after Chief Secretary Arthur Balfour who pushed for such a scheme to help rural areas of Ireland. Intermediate stations were provided at Moycullen, Ross, Oughterard, Maam Cross, Recess and Ballynahinch. Leaving Galway the line passed through the only tunnel on the route, which carried the Prospect Hill road over the railway. On the outskirts of city the railway the railway crossed the Corrib river. It is of little surprise that the railway only lasted 40 years, by the 1930's the railway track required renewal and the Great Southern Railway found it uneconomic to invest the money in face of increasing private motor car ownership and the availability of private road haulage firms were proving too stiff a competition for the company. The railway closed on the 27th April 1935. Today much of the route can be made out on the road journey to Clifden, sections of the N59 road between Maam Cross and Recess now use the former trackbed. The stations at Recess and Ballynahinch are well preserved and a credit to their current owners. 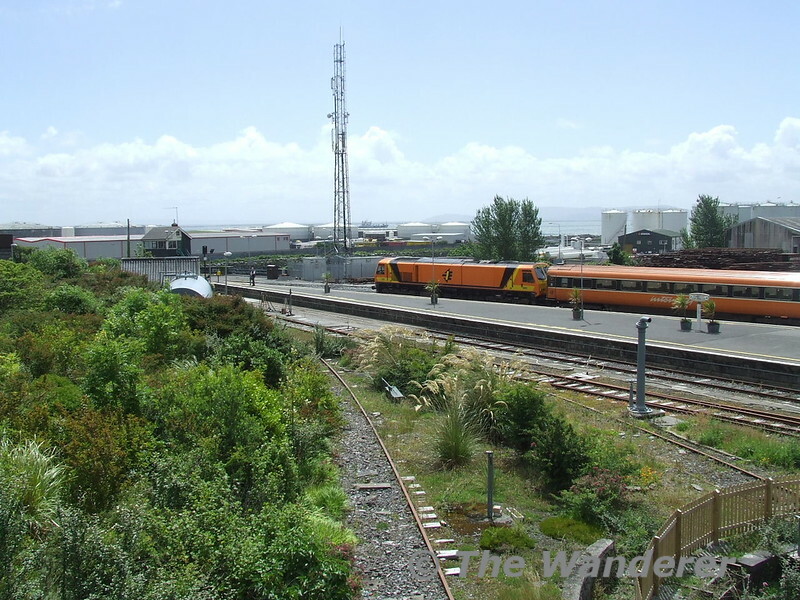 The sound of a train rolling through Connemara may soon become a reality once again. Further updates to fill in the missing bits of the Clifden railway story (particularly between Galway and Maam Crossed) will be published after future visits to the area. Let's hope it doesn't take another 24 years to visit the heart of Connemara! Brilliant photo!!!!!!!!!! These could become really valuable now that the 22000s have taken over!